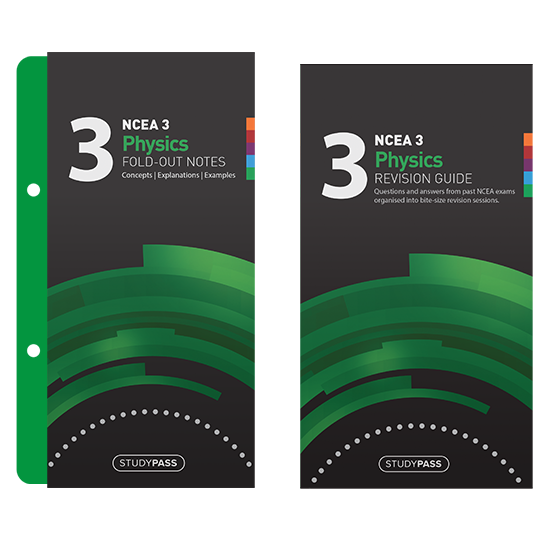 This pack contains Fold-Out Notes and the 2019 Revision Guide. The Fold-Out Notes give all the key facts and ideas from the course. The 2019 Revision Guide organises the questions from past NCEA exams into bite-size revision sessions. 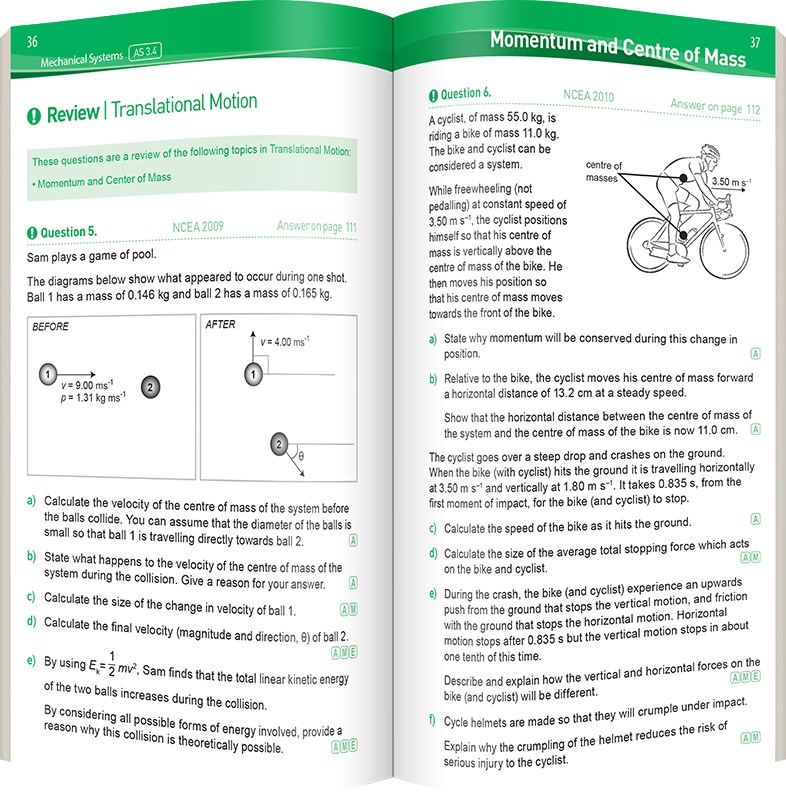 Fully worked answers and A, M or E grades included. 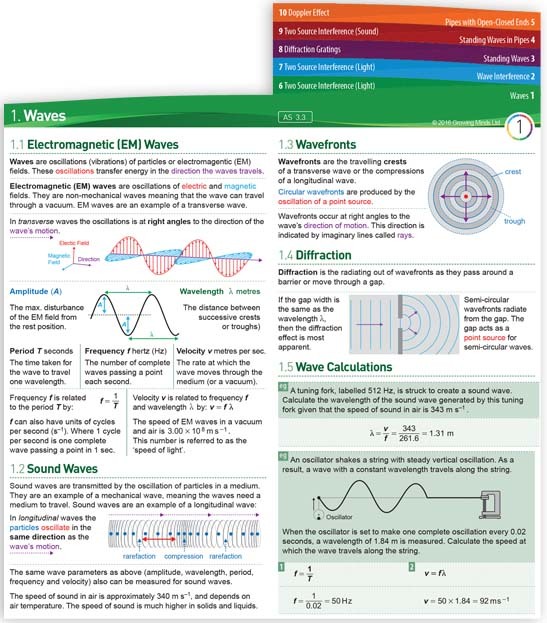 Ideal for use throughout the year and in preparation for end-of-year exams. 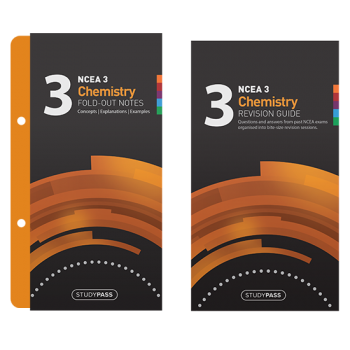 The 3 Fold-Out Notes give comprehensive coverage of the most popular Achievement Standards making up this course with a strong emphasis on the externally assessed Achievement Standards. 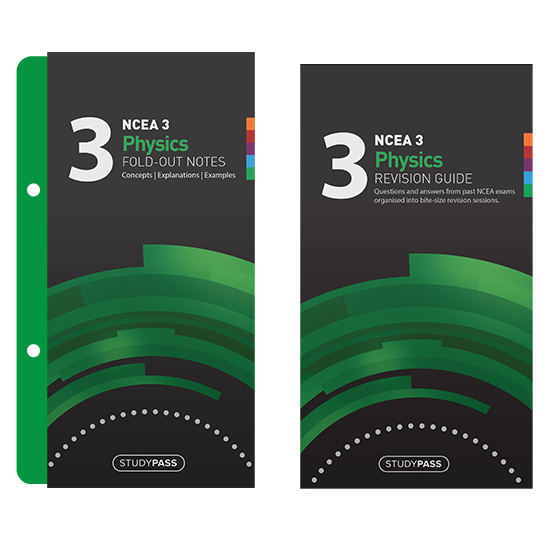 Improved coverage and new embedded cross references help students make the connections between concepts that are necessary in order to gain Merit and Excellence grades. Straight to the point explanations for all the key concepts. Text and graphics aid understanding and connect concepts. Step by step worked examples show exactly how to apply the concepts. Cross references connect concepts between sections. 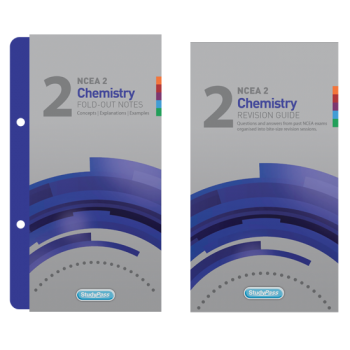 Each section linked to a relevant Achievement Standards (on covers). A full index at the back helps to quickly locate any concept or term needed. 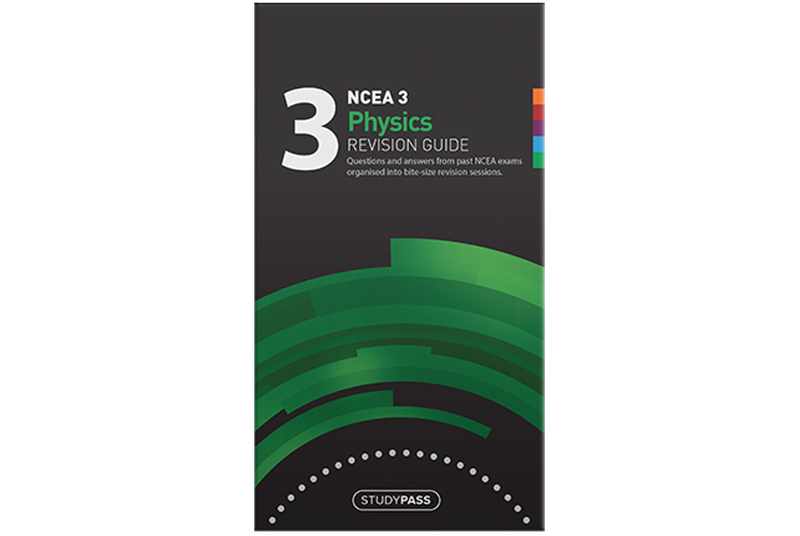 This revision guide contains the actual questions and answers from past NCEA examinations. See at a glance what types of questions are commonly asked and discover the types of answers required to get best possible grades. 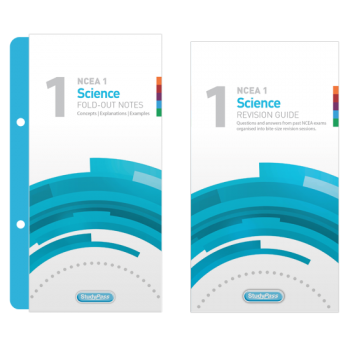 Revision Checklists break down each Achievement Standard into study sessions to track progress and ensure all the topics are covered. Past exam questions are grouped together under topic headings so you can quickly find the types of questions you need to practise the most. 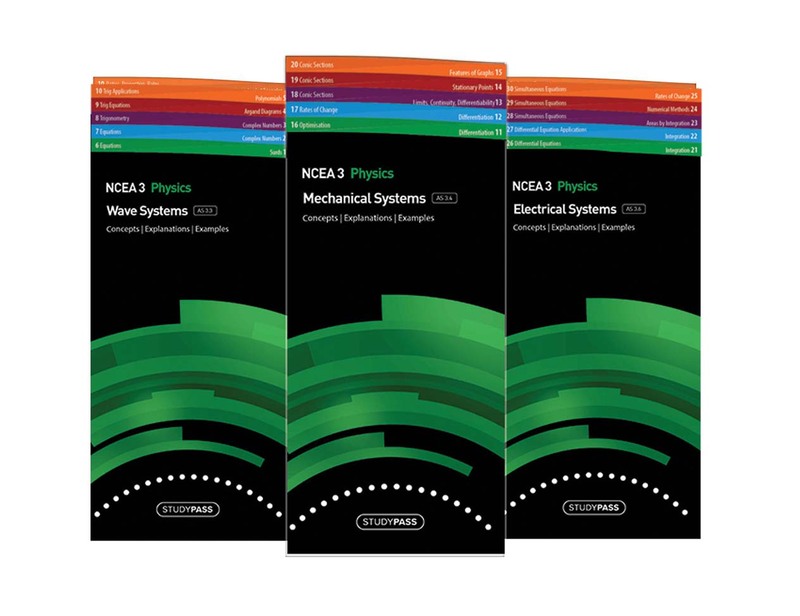 Complete NCEA exam papers provide practise at taking an actual exam in a fixed amount of time under exam conditions. Built in reviews combine questions from different topics to provide a review of content covered earlier.